Contest: WIN a copy of Why Spy and your very own pro spy kit! WIN a copy of Why Spy and your very own pro spy kit! 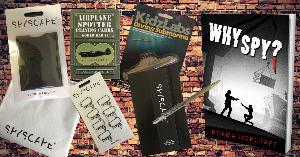 Prize: A copy of Why Spy and your very own pro spy kit!